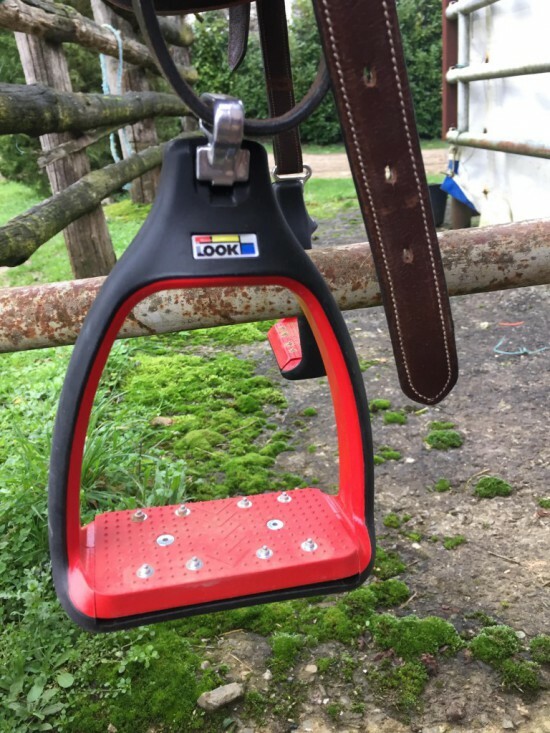 A newcomer to the world of the stirrup and that is already making noise. You’ve probably heard about it, they’re competing in the most fashionable Freejump and Flex-on. Get ready, because it sends heavy! The damping sole, to absorb the shocks. 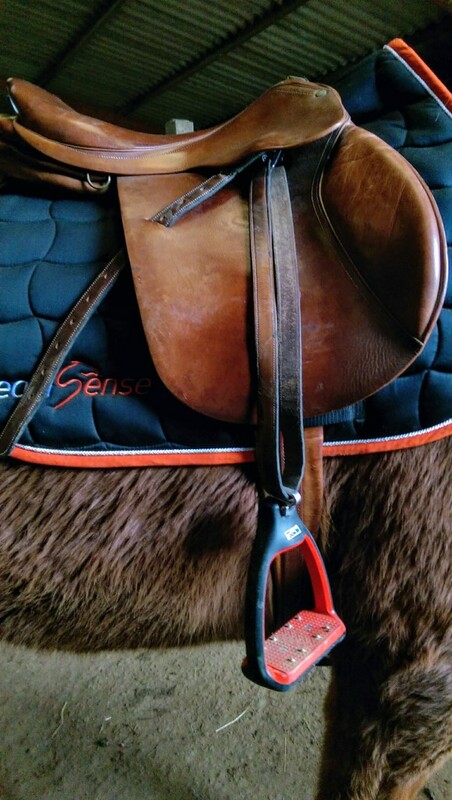 To relieve the rider’s joints but also the horse’s back. 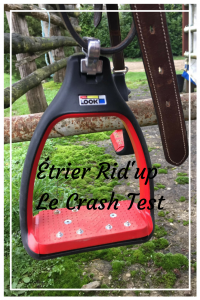 In test, what does the Rid’up stirrups look like? Already thanks to the brand that sent me the stirrups to test them and who did not ask to read my article before its released. So here is my opinion, as usual, honest 100%. Let’s put things in context. I go up in leisure, with composite reflex and joint worries especially on the left knee. So I expected a lot of these stirrups. On my first try, my stirrup leathers being downright too long (they descend lower than the composites), I almost climbed on tiptoe. But I didn’t lose them once! On my second try, after making holes in my stirrup leathers, I felt stable, not comfortable but after 4 years on my current stirrups, that’s normal. I did a flat session and even 2-3 jumps. On my third try, I am well, comfortable with the stirrups. I know this is my last session with and it depresses me. I got off the horse without having a sore knee, nothing a sign and this is the first time since I have joint level worries! They are comfortable, we do not lose them, we are well placed in the descent level of leg. And the best: they annihilate the pains of my joints. Yes I already said but it is important information. 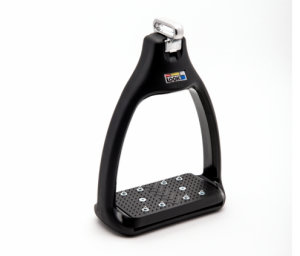 The stirrups are priced at €239, quality and manufacturing in France it pays off. But as the brand is super nice she gave me a promo code for you! You have a 10% discount. If my banker had agreed, this pair of stirrups would already be part of my upholstery! Edit 20/06/2018: Many of you have ordered a pair with the promo code, so the brand chose to offer me a pair! I am always delighted and the brown floor is much better with my equipment. If I could enjoy it is thanks to you, thank you!